Luxurious 3+1 duplex apartment in city center. 12-year loan! 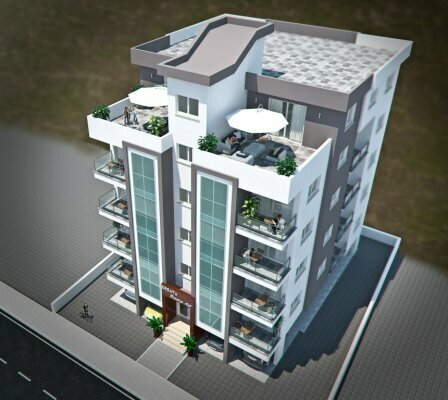 Located in the very center of the Famagusta, these newly built apartments are a perfect choice. Parking area, Intercom system, double grazing, solar heating system, built-in wardrobles and cupboards in the kitchen, elevetor. Separated storage place for each flat (4 m² for each flat). Multiple choise of kitchen cupboard, ceramics for bathrooms and kitchen. There are also penthouses with 50 sqm terrace available.